Geneviève Claisse is a leading female abstract painter of her generation and one of the most important voices in contemporary art today. Claisse emerged as a pivotal member of the abstract tradition during the 1950s at a time when Paris was divided by the chasm between lyrical abstraction and a purer constructed geometry. 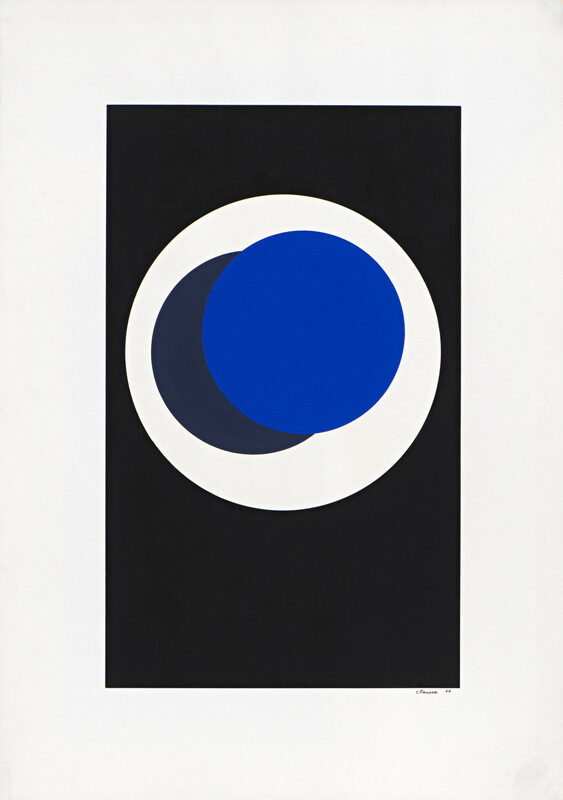 Following in the footsteps of Piet Mondrian’s de Stijl and Kazimir Malevich’s revolutionary black square, Claisse became a driving force of geometric abstraction and this new visual language of line and colour beside Victor Vasarely, César Domela, and Jean Gorin. As the great niece of pioneering abstract painter Auguste Herbin, Claisse is celebrated as the heir to the Abstract-Création movement and the unique brand of non-figurative concrete art exalted by Jean Arp, Naum Gabo, Ben Nicholson and Barbara Hepworth. Exploring the tension between essential shape and colour, Claisse’s abstract vocabulary echoes the rhythms of Kinetic and Optical Art. Claisse has previously exhibited in group shows at established London galleries including Hanover Gallery (1964), Redfern (1968/1989) and Royal Academy (2001), and her work was presented in a solo show for the first time in the UK in 2017 at Connaught Brown. Claisse has exhibited internationally with her most recent retrospective at the Musée Matisse-Herbin, Le Cateau-Cambrésis in 2015. Her work can be found in public collections around the world including Louisiana Museum of Modern Art, Denmark; Guggenheim Museum, New York; Hirschhorn Foundation, Washington and the UNESCO collection, Paris.